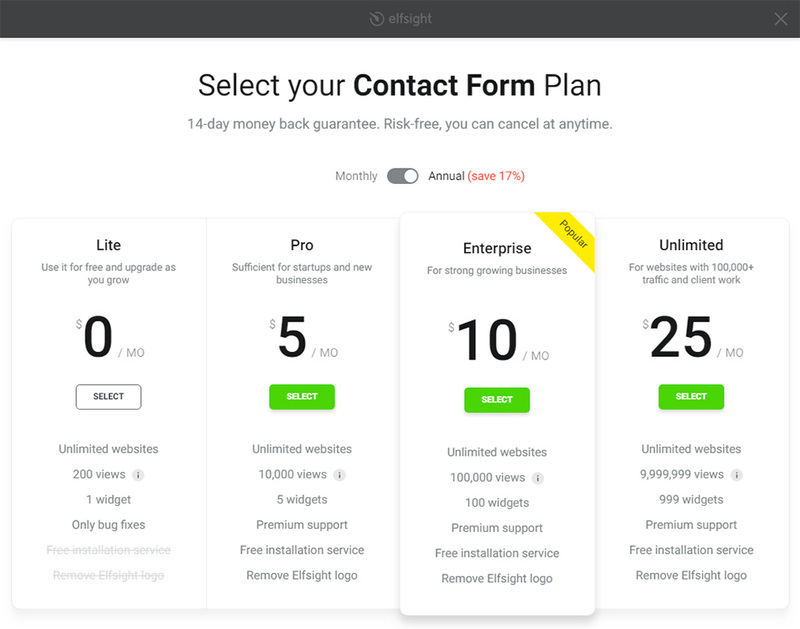 Elfsight Contact Form is an easy-to-manage plugin that allows you to add to the website various forms for clients to submit their messages to you. BONUS: Try your Contact Form free! Installation of our widget is extremely easy and intuitive; it will take not more than a couple of minutes. Follow all steps given below to set up your widget. Follow this link (Live Editor) to create a widget. Pick the pattern and presentation type to create the widget that will be most appropriate for your site. After your widget is developed, pick your subscription plan. We have free and paid plans to suit any needs. The resulting action in installing Elfsight app is to gain the widget html code. 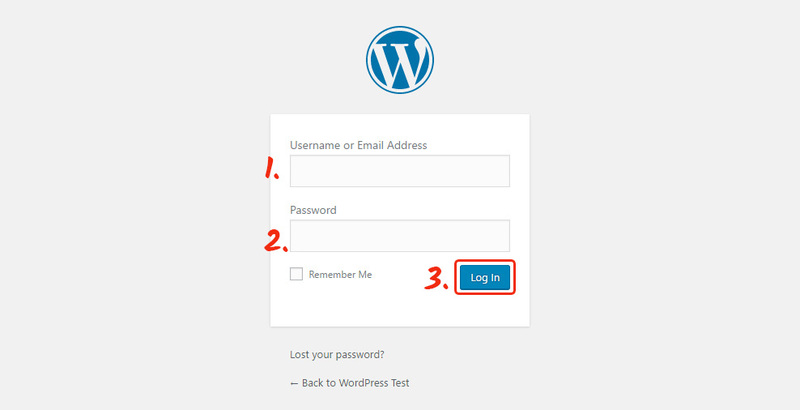 Enter the WordPress admin panel and log in. At the side panel, go to «Posts»/«Pages» link or to any other similar folder to select the page for editing. Add the form code to the required place of the page and press «Update» to save the changes. The form is successfully installed! Visit the page and check the result of installation. Log into the account of your website. Go to «Appearance» tab in the side menu and press «Editor» link. 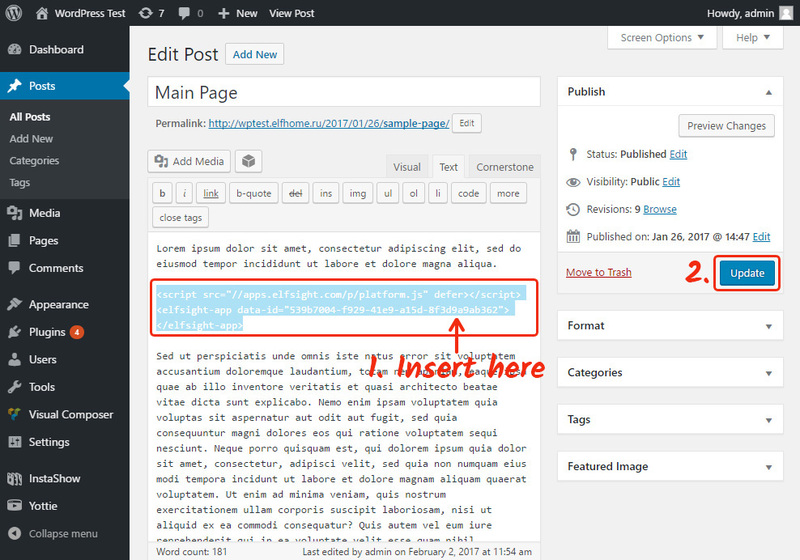 In the editor, choose the needed template and insert the code into the template (you can chose any place). Upload the updated file. Go to the website and check that installation was successful. 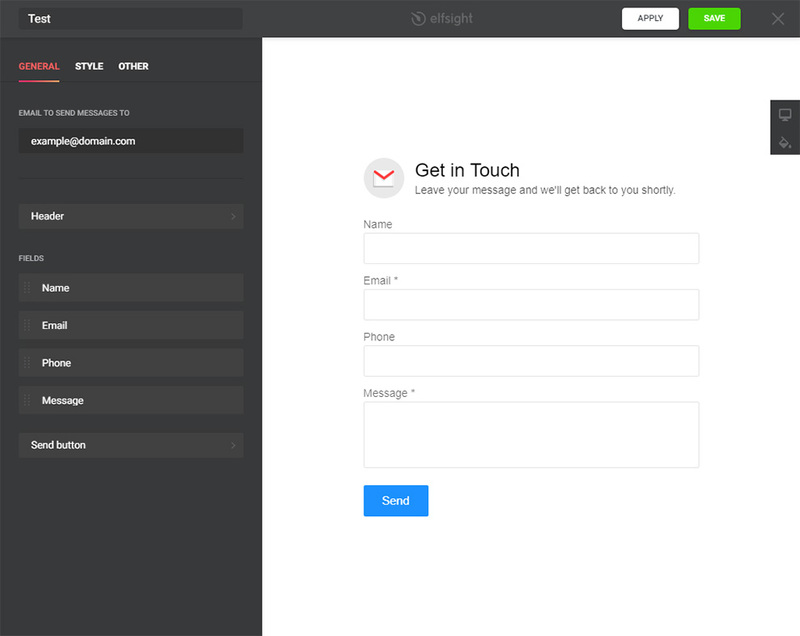 After installation of the plugin, you need to apply all the settings of the form on Elfsight apps. Changing texts, choosing another design or type of showing and all other updates, which were done in the plugin editor, will be immediately displayed on your resource. Also, in your personal Elfsight account you have a chance to heck other widgets by our team and install them on your personal page for free. 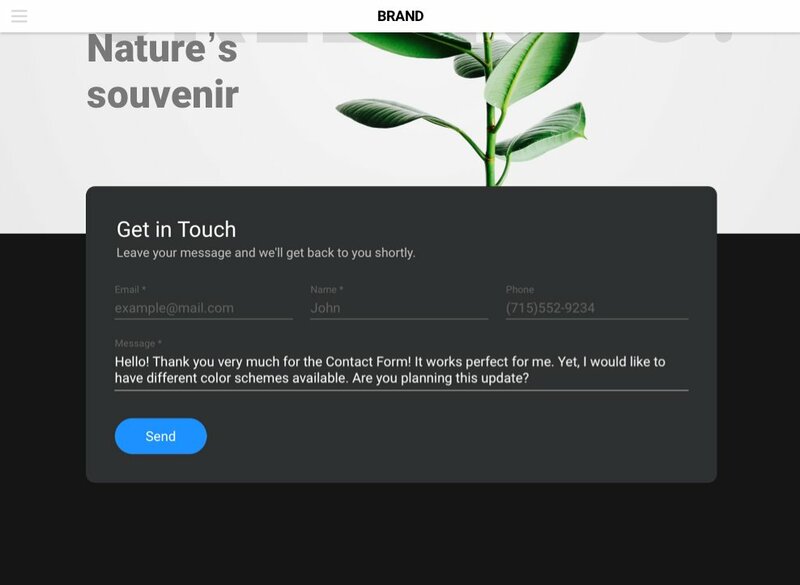 If you are looking for an easy and conversion-raising form to get more responses from your visitors and enhance effectiveness of your resource, then this form plugin by Elfsight is the ideal option for you. Stay in touch with your customers 24/7, receiving their feedback on requested email and boost leads for your business! 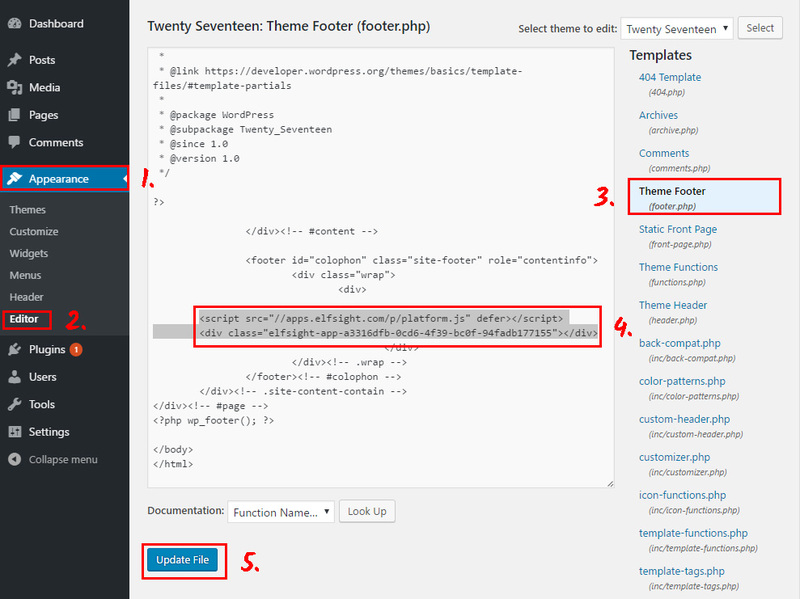 Also, don’t forget to explore other WordPress plugins by Elfsight. Try your Contact Form for WordPress free! Free live editor for fast plugins generating.